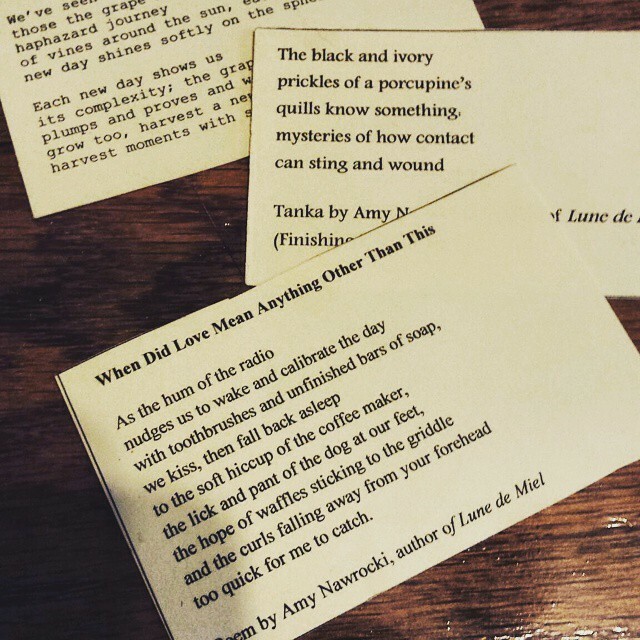 For the last day of National Poetry Month, pick up a poem and put it in your pocket, then share it. It’s not a bad idea to do this every day. A poem a day keeps the doctor away. Here are two poems I kept in my pocket for years.